The retail automotive industry has seen ever-increasing sales since 2013, but experts predict this momentum may have plateaued – and will likely decline in the coming years. Hiring the right people can help dealerships stay competitive no matter what the market has in store. We’ve pulled together a list of emerging trends dealerships of the future will embrace to turn their people into a source of competitive advantage. 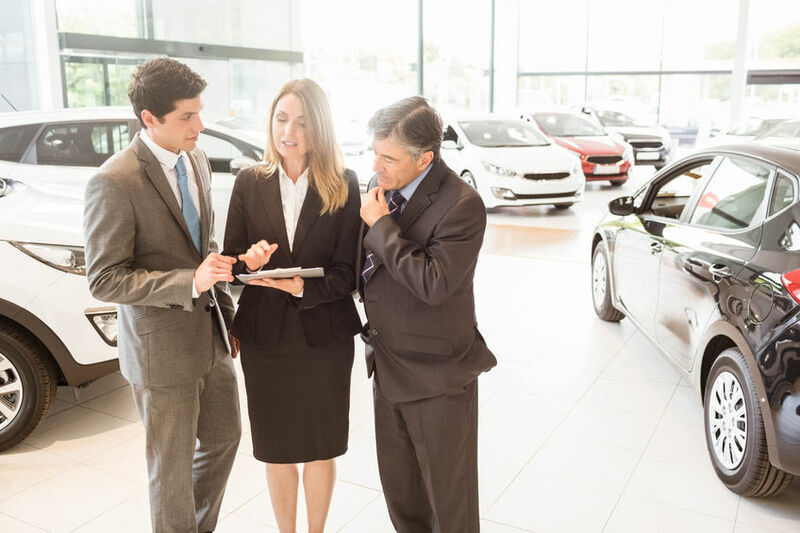 Rather than using countless disconnected systems and processes to manage employees, dealerships are moving toward a more centralized talent management function. Using one platform to seamlessly manage hiring, onboarding, payroll, talent management and compliance will save your team time and increase efficiency and profitability. A dealership management system (DMS) helps dealers manage inventory and calculate sales and service operations, but has limitations when it comes to HR capabilities and integration with other essential systems. As a result, dealers lack quantitative understanding of the impact of practices, spend and quality of hire on gross profit. Instead of relying on a DMS to manage HR capabilities, embrace a hiring and talent management platform, which integrates directly with leading dealer management systems. Doing so will also help ensure you’re paying employees with complete accuracy, by automating flag time calculations for service workers and tracking overtime hours. By centralizing hiring and talent management – and integrating it with a DMS – you can also benefit from 1:1 customer support from a hiring strategy partner. Look for talent management software that offers a customer service team that’s dedicated specifically to your business. This team will have a complete understanding of your account and business needs, making them better equipped to answer any questions you have – and help you get the most value out of your talent management software. Many dealerships don’t have a hiring process that is easily repeatable each time a new job opens. But dealerships of the future are turning to a more consistent hiring process, and leveraging actionable data to improve the process for each new job opening. For example, data related to hiring velocity (time to hire), hiring process adherence and hiring quality and ROI by source – such as career site, individual job boards and referrals – can bring greater transparency and accountability to the hiring process. Outside of hiring, dealers are also tapping into predictive analytics to analyze and predict costs, competition, market shifts and other trends. For example, some OEMs are increasingly relying on their website data to better measure consumer preferences in order to improve marketing and streamline supply chains. Dealerships have often made the mistake of waiting until the business has an immediate opening to start the hiring process. But this can pose many risks, including missing out on star candidates, losing overworked employees, keeping bad hires around for too long and hiring employees who aren’t the right fit simply to fill the open role. To address these drawbacks, consider focusing on proactive recruiting and continuous hiring. By maintaining a strong employment brand – including a compelling career site – and reviewing new applicants on a regular basis, you can avoid reactive hiring, capture passive candidates and build a network of prospective employees for when an opening rises. As consumers gravitate toward digital retailing, many car buyers walk into dealerships armed with more information than ever before and, in many cases, will have already made a purchase decision by the time they walk in the door. With little room for negotiation due to consumers’ outside research, your dealership should empower employees to focus on fulfillment rather than sales. This means answering any final questions the customer has before making the purchase, getting them up to speed on the car technology and completing the sale as quickly as possible. Supporting a positive fulfillment experience makes customers more likely to come back to your dealership in the future – for service or their next car purchase. Given the shift from sales to fulfillment, one way to evolve your people strategy is by adjusting your dealership pay plans – especially for sales roles. High-risk, commission-based pay plans are no longer working with today’s job seekers, many of which are leaving retail automotive for more stable roles. Take it from AutoNation, the largest new vehicle retailer in the U.S. AutoNation recently rolled out a new pay plan offering sales people a base salary plus bonus, rather than the traditional commission-based structure. Not only will this help AutoNation – and any other dealerships who make the switch – attract and retain employees, but it will empower employees to focus more on fulfillment and customer experience, rather than trying to make higher commissions through sales. Some of the most forward-thinking dealerships are also creating new roles to meet the needs of today’s car buyers. A few OEMs have created the role of product expert, which is customer service-focused similar to what you’d find in an Apple Store. Given the complexity of today’s cars, product experts the go-to advisors for product knowledge before, during, and after each purchase. Product experts can help car buyers configure their phones with their vehicles, program the garage door opener, set up voice commands, and more, rather than focusing on sales and negotiation as dealership employees have done in the past. Other new dealership roles include e-commerce coordinators, who are responsible for analyzing the dealership’s digital advertising, business analytics and vendor performance, and talent acquisition specialists, who are dedicated to recruiting and hiring the right people. Hiring and retaining quality auto technicians are among the biggest challenges facing retail automotive today. And when dealerships don’t have enough technicians to service vehicles in a timely manner, customers might end up taking their business to the competition. Recognizing the shortage of technician talent, some dealerships are testing out artificial intelligence (AI) to ensure the technicians they do have are productive. Kia dealerships are using AI to schedule service appointments. Using AI improves the overall service experience, as customers no longer have to call into the dealership – and potentially wait on hold – to make an appointment. For dealerships, AI helps service workers spend more time on actually servicing cars, rather than on the phone tracking down customers to schedule appointments or collect feedback. In the long run, this can help increase revenue by enabling your dealership to process more service requests.